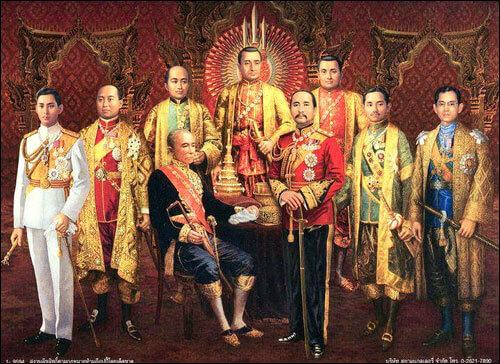 Prior to the establishment of Chakri Dynasty, the Kingdom of Siam (former name of Thailand) was in turmoil. Aggressive Burmese troops occupied the Northern Kingdom of Lan Na and were proceeding down south to the Siamese Royal Capital of Ayutthaya. A young man of noble Ayutthaya descent named ทองด้วงThong Duang commanded the bitter fights in the Northern war. Despite the efforts to fight back, they were gradually forced to fall back until the Burmese had gotten a grip on the Royal Capital. Ayutthaya fell on April 8th, 1767 and the Siamese people fled to the city of Thonburi located further downriver on the Chaophraya River. The beautiful city of Ayutthaya was destroyed by the Burmese, temples plundered, gold and jewelry looted, monks and women were cruelly affected. But the Burmese had suffered heavily in the taking of Ayutthaya and knew the Siamese would return to take up battle. Knowing they could not hold Ayutthaya, the Burmese retreated after only one week. War campaigns continued over the years, ebbing and flowing, until the Siamese armies united during 1779 in Thonburi. Thong Duang now known as Chakri became the military commander. He realized that the Royal Court of King Taksin (สมเด็จพระเจ้าตากสินมหาราช) was in such disharmony because the King, weary of wars, had resorted to religion rather than addressed the needs of his subjects. The lack of leadership caused rebellions to break out. Rebels marched to Thonburi, calling for the overthrow and replacement of King Taksin with their beloved “Chakri”. 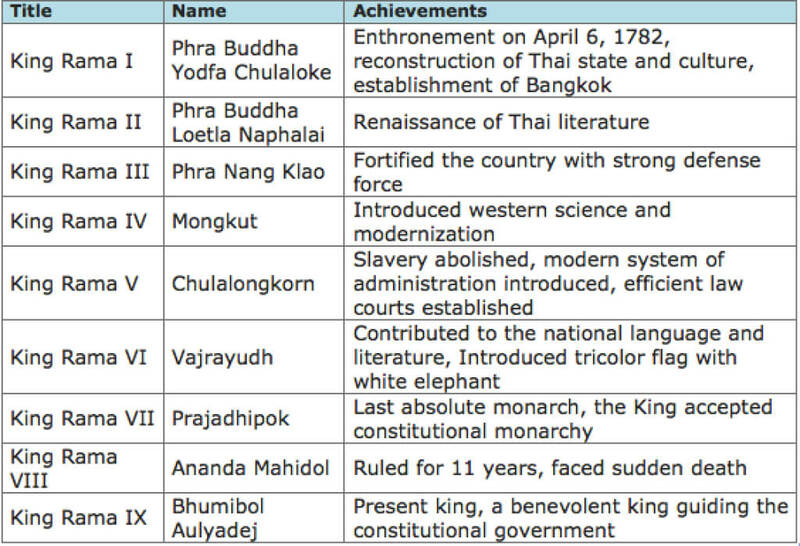 As a result Chaophraya Chakri took the title “King Ramathibodi” and reigned as King Rama I from April 6 1782 until 1809. As an experienced military campaigner, King Rama I of the Chakri Dynasty knew that the city of Thonburi was vulnerable to possible Burmese attack from the west. Accordingly, he commanded that a new Capital be established across Chaophraya River. And so กรุงเทพฯ Krung Thep (Bangkok) was created. 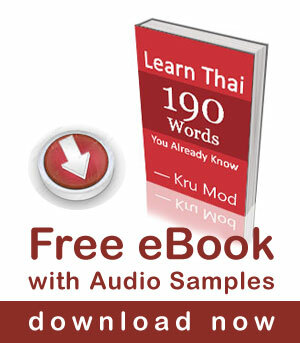 Bangkok has been now the capital of Thailand for 231 years. 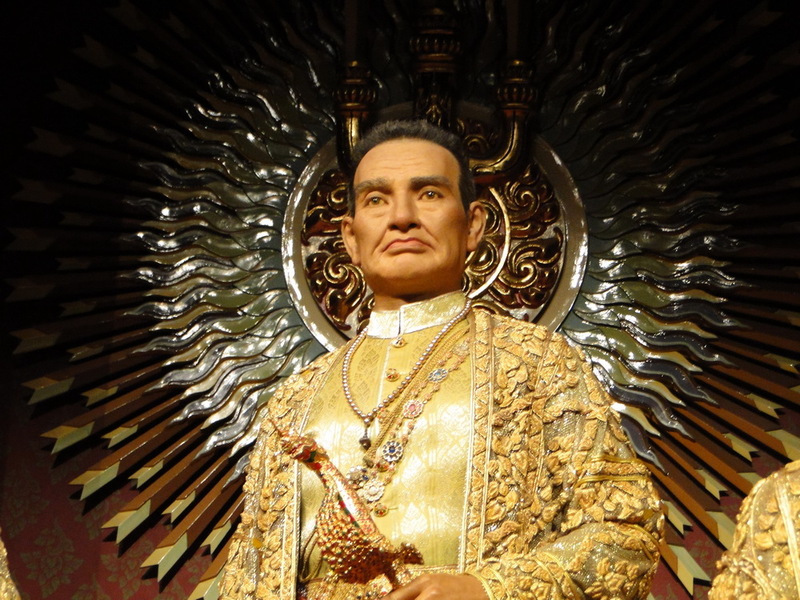 Thai kings are very respected by the people, and past kings are no exception. In commemorating Chakri Memorial Day, Thai national flag will be displayed prominently. 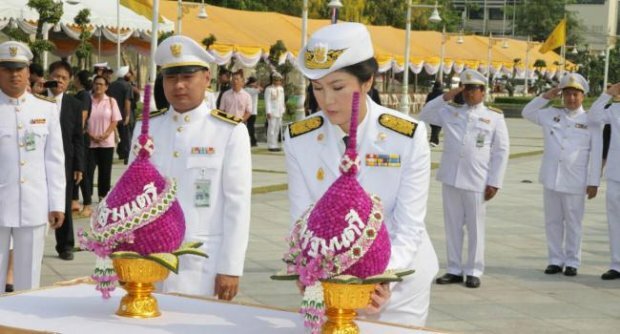 The Prime minister, government officials and members of the community participate traditional ceremonies, making offerings of flowers and garlands at the many statues of Kings in the House of Chakri. Chakri Day is also a public holiday in Thailand.